Raising Jedi | Great Scott! It’s Magic Shoes! Great Scott! It’s Magic Shoes! 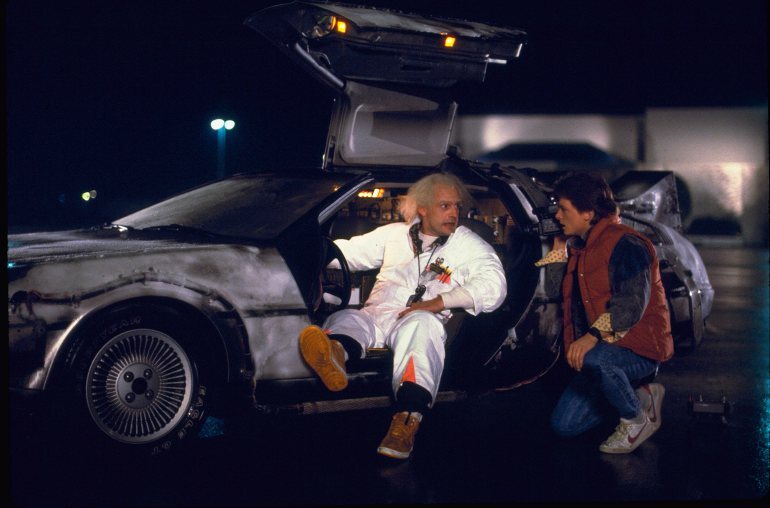 October 21, 2015 will forever be known as, “Back to the Future Day.” Thirty years have gone by since the Doc and Marty had their adventure through time and all that anyone can talk about is how the hoverboard thing never really happened. I’m sure some people even tweeted that fact to whomever they wanted in the world, while using WiFi, on a plane…. WHILE FLYING THROUGH THE AIR AT GREAT SPEEDS! Let’s face it, the today’s technology is pretty darn amazing, but we can still struggle with some of the most simple ideas. For example, my son struggles with fine motor skills. He is eight years old and no where close to being able to tie his shoes. While he may eventually gain this skill, others will not. In fact, they may lose it. Michael J. Fox suffers from Parkinson’s Disease which is a chronic and progressive movement disorder. His symptoms will only increase over time. Motor issues can be make everyday tasks seem overwhelming but, as luck would have it, great inventors like Doc are still hard at work. Check out how Nike is making one task a little easier. Mr. Fox is trying out these self tying shoes for the first time. Not a hoverboard. Still cool! Tagged Michael J. Fox, Nike, Parkinson's, shoes, special needs. Bookmark the permalink.